Court Awards Custody to Abusive Father. Still Think Court is Safer than Mediation? The Massachusetts Appeals Court published a decision today in a particularly saddening and difficult divorce case in which the lower court awarded custody to a father despite a finding that the father had been physically abusive to the mother. The job of a trial Judge is not an enviable one and I don't intend to second-guess the decision which included weighing the testimony of two experts and was very fact specific. In reading the full decision it is obvious the court was forced to choose between two extremely undesirable results. The trial court relied on the children's problems with their mother and abuse between them and her in awarding primary custody to the father. The Appeals Court points out that the GAL and children's therapists could not find any evidence that the father brainwashed or alienated the children from the mother. However, the court acknowledged that the children witnessed abuse by the father against the mother, and pointed out the harm suffered by those who witness domestic violence. The court's decision and these principles seem incompatible. Unfortunately though, it is obvious that no matter the decision made by the court it would have been an imperfect one. It is possible that the children will be in danger of witnessing or being involved in further domestic violence regardless of which parent was awarded custody. Not only did the court process fail to ensure the protection of these children, the stress and animosity created by the process probably increased the risk. Sometimes the court just can't solve these types of problems effectively. The mother in this case most likely spent a fortune to have a parent alienation expert testify for no benefit. What if the mother had engaged that expert for a different purpose? What if the mother had engaged that expert to help her fix her broken relationship with her children, regardless of the cause? What if these parties had tried mediation or collaborative law instead of litigation? While it is important that the court exists as a last resort for obtaining protection for victims of domestic violence, this case is the perfect example of how the court only has imperfect solutions to offer families. It is my hope that rather than continue to litigate after receiving this Appeals decision the family in K.A. v. T.R., and others like them seek the help of experts (divorce coaches, parent reunification experts, mediators, etc.) to help them seek solutions that are better than what the system has offered them. October is Domestic Violence Awareness Month and it is ironic that on the last day of October this decision is published. Victims of domestic violence need to be aware of the resources available to them such as the Domestic Violence / Sexual Assault Agencies and Hotlines in Massachusetts. In addition, Awareness should include knowledge about the options that victims have besides court, options which ultimately might serve their and their children's needs better. If you doubt that mediation or collaborative law could have done better in this case, I invite you to read the entire decision in K.A. v. T.R. and comment below. Appellate Questions on Alimony Termination – You Decide! Doktor v. Doktor (SJC-11727) presents the question of whether the Act's provision regarding termination of general term alimony upon full retirement age (see M.G. L. c. 208, § 49f) applies to a divorce judgment that predates the Act, where the payor reaches retirement age after the effective date of the Act. In addition, the case should address whether, and how, the parties' respective assets should be considered in determining the continuing need for, and ability to pay, alimony after retirement. If the Act's termination on retirement clause applies to this Judgment, then the lower court erred in dismissing the husband's Complaint for Modification of alimony due to his retirement. Oral Arguments, which occurred on October 6, 2014, can be seen here. Rodman v. Rodman (SJC-11726) presents the question of whether the provision of the Act regarding termination of general term alimony upon full retirement age (see M.G. L. c. 208, § 49f) applies to a divorce judgment that predates the Act, where the payor reaches retirement age after the effective date of the Act. If the Act's termination on retirement clause applies to this Judgment, then the lower court shall consider the husband's Complaint for Modification of alimony due to his retirement. Oral Arguments, which occurred on October 6, 2014, can be seen here. Chin v. Merriot (SJC-11715) presents the question of whether the provision of the Act regarding suspension, reduction, and termination of general term alimony based on a recipient spouse's cohabitation with another (see M.G. L. c. 208, § 49d) applies to a divorce judgment that predates the act, where the cohabitation began before the effective date of the Act and continues after the Act became effective. In addition, the case also asks whether the provision of the act concerning the termination of general term alimony upon full retirement age applies to a divorce judgment that predates the Act, where the payor reaches retirement age after the effective date of the Act. If the Act's termination on retirement clause or cohabitation clause applies to this Judgment, then the lower court erred in dismissing the husband's Complaint for Modification of alimony. Oral Arguments, which occurred on October 6, 2014, can be seen here. The intent of the Act, according to Steve Hitner of Mass Alimony Reform was to apply retroactively as the plaintiff's in these actions are trying to do. He was on the Task Force so he should know. However, others have argued that the strict language of the statute requires exactly the opposite. I think that the statutory construction question is whether the term "durational limits" includes only the duration limits in section 49(b) or also includes the termination language in section 49(f) and 49(d). While both sides (as is typical in litigation) argue that there view is obviously correct, the reality is that there was an unfortunate ambiguity left in the way the statute was drafted. If it referred directly to the sections by letter, there would be no ambiguity. If you follow our posts at all you're probably aware that attorney Justin Kelsey is a Collaboratively trained Divorce attorney and Mediator. But did you also know that three other attorneys at Kelsey & Trask, P.C. are Collaboratively trained as well? Full time Associate, Valerie Kua, and of counsel Jonathan Eaton have both taken the Collaborative Training and regularly use those skills in their family law practice to settle both Collaborative and cooperative cases (if you don't know the difference click here). In addition, of counsel to Kelsey & Trask, P.C., Beth Aarons is a trained Collaborative attorney who practices in both family law and estate planning & probate. At Kelsey & Trask, P.C. we strongly believe that Collaborative Law is the future of dispute settlement, and not just in divorce cases. For example, if you have an estate planning or probate dispute, you may want to consider Collaboratively trained counsel as well. Even other civil matters, such as business disputes, can be resolved through the Collaborative process or using Collaborative skills. Business disputes are bad for the bottom line, whether they involve breakups, exit plans, family issues or garden variety commercial disputes. The good news is that there is a way to deal with these problems that does not involve the expense, delay and emotional stress of litigation. If you are interested in exploring about a new way to deal with business disputes, one that has proven effective in other areas of the law, this training is for you - whether you are already a collaborative practitioner, are a lawyer who wants to add collaborative skills to your resume, or are simply a business owner, CPA or business advisor who wants to know more. This is a 3.5 hour training taking place on Friday, December 12, 2014 from 1:00 pm to 4:30 pm in Woburn, MA. FIND OUT MORE or REGISTER HERE! 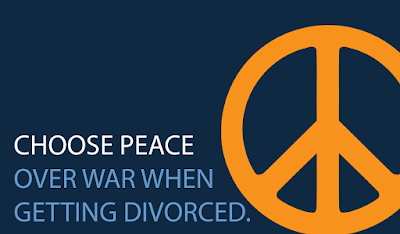 Going through a divorce is the second most stressful life event next to the passing of a loved one. When a loved one dies, we have numerous traditions and rituals that ensure that we have support to help us grieve. In contrast, divorce is too often experienced alone. While we encourage our divorce clients to seek support of friends, family and therapists, that doesn't work for everyone. Sometimes friends and family don't understand, and therapy isn't the answer for everyone.